This post is sponsored by Environmental Graphics. 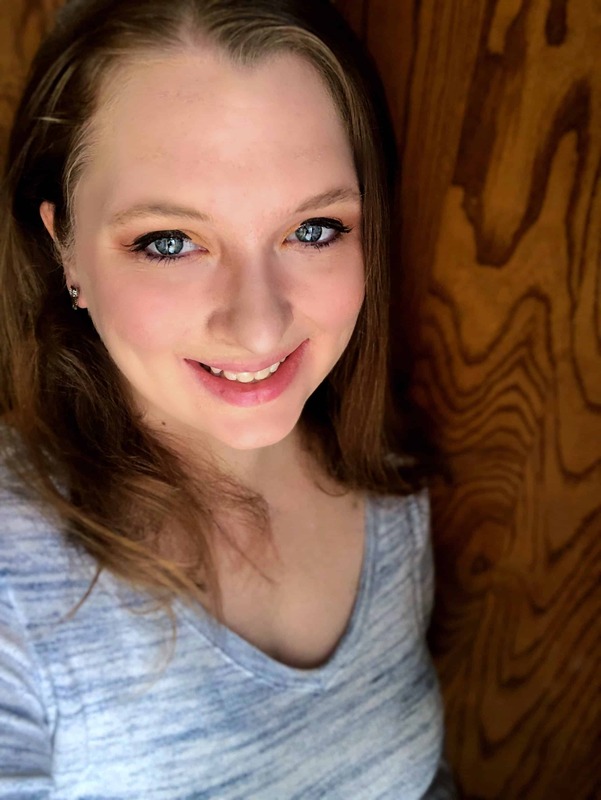 Since we moved into our new house, I’ve been thinking about how to set up a small office nook for myself. 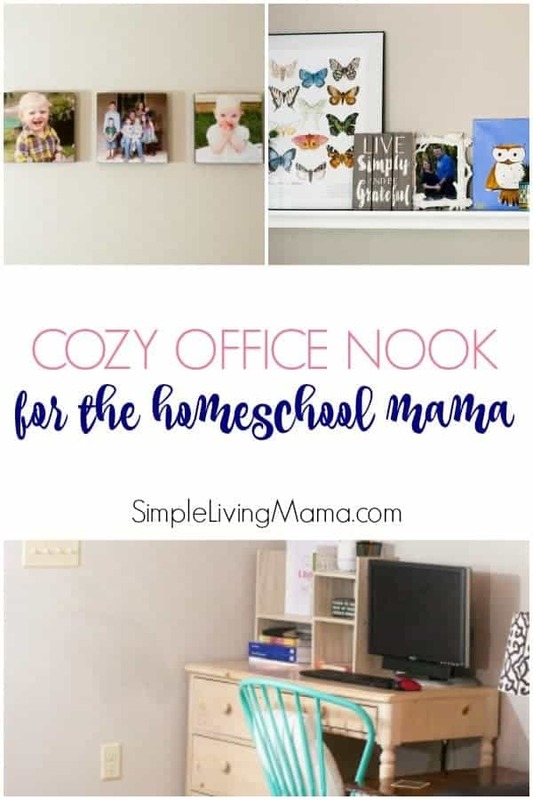 We do have a separate office, but it’s upstairs and away from the house, and as a busy homeschool mama with lots of littles, sometimes I just need to be in the middle of the action. 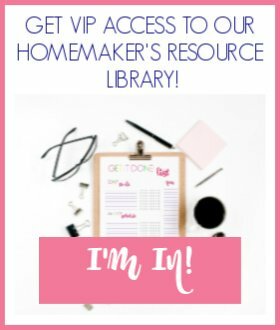 I need to be able to watch little kids while I work, plus my homeschool kiddos use the desktop computer in my office nook, so it needs to be accessible. 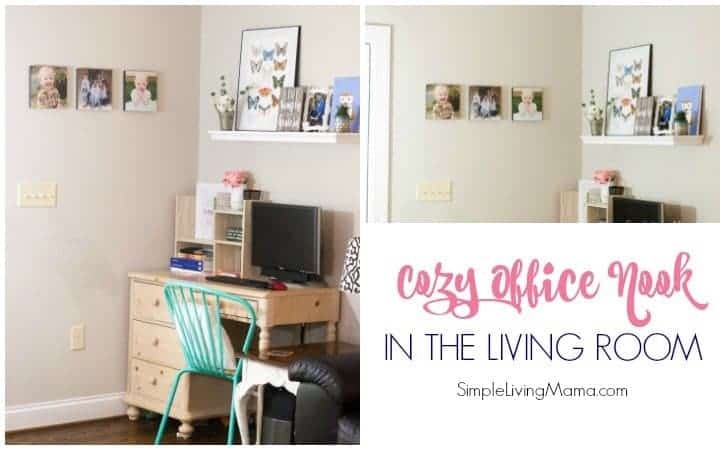 Just one aspect of large family living is finding how to make things work in unconventional ways, so my cozy farmhouse office nook in the living room is in a corner of my living room. I chose an unused corner in our living room for my office nook. It’s just perfect because it’s kind of out of the way, but anyone using the desk can still hear what is going on. It’s also great for my kids when they need to use the computer. 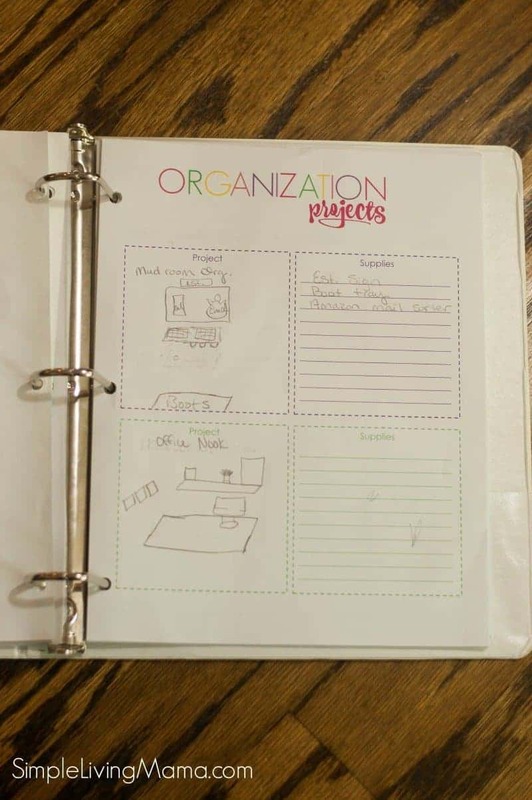 Before I set up my office area, I used my Clean and Organized Home Binder to sketch out my organization project. I always use this section of my binder to help me plan out spaces I want to spruce up or completely re-do! I knew I was going to use the desk from my daughter’s bedroom set. It has a hutch, but I didn’t want to use the hutch this time, so I decided on a shelf to display just a few objects. I wanted for this little nook to be simple. 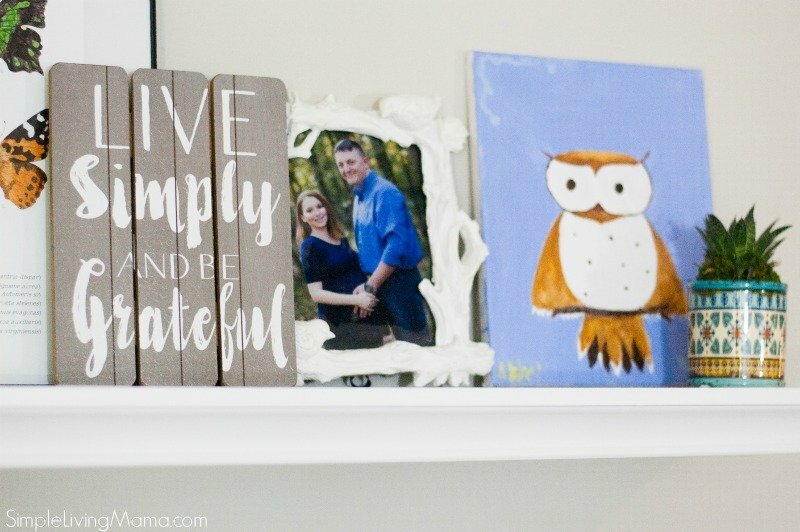 On this shelf I placed a little tin bucket with some cotton, a poster of butterflies and moths, a cute Live Simply sign that I got from Walmart, a picture of my husband and I, a cute painting of an owl that my sister-in-law made and gave to me because she knows I love owls, and a cute little succulent. Here’s a closer look at some of my goodies! 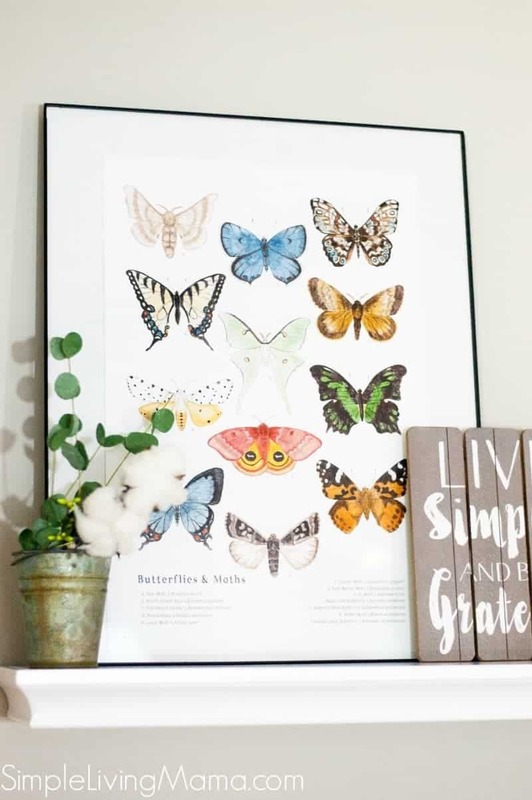 This butterflies and moths poster is a great educational resource for my kids! My favorite area of my corner office nook is this right here. My pictures! 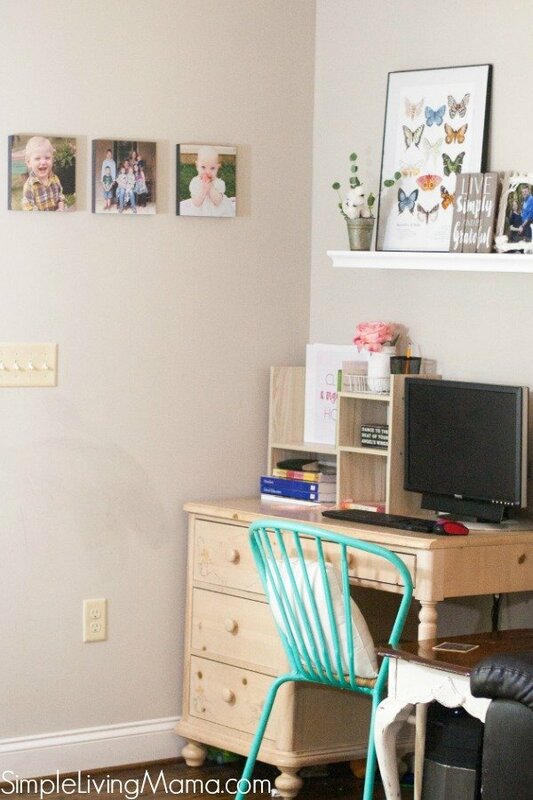 Did you know it is incredibly easy to order pictures from your iPhone and have them shipped to your house ready to go on the wall? I used StickUpPix for these adorable three pictures. 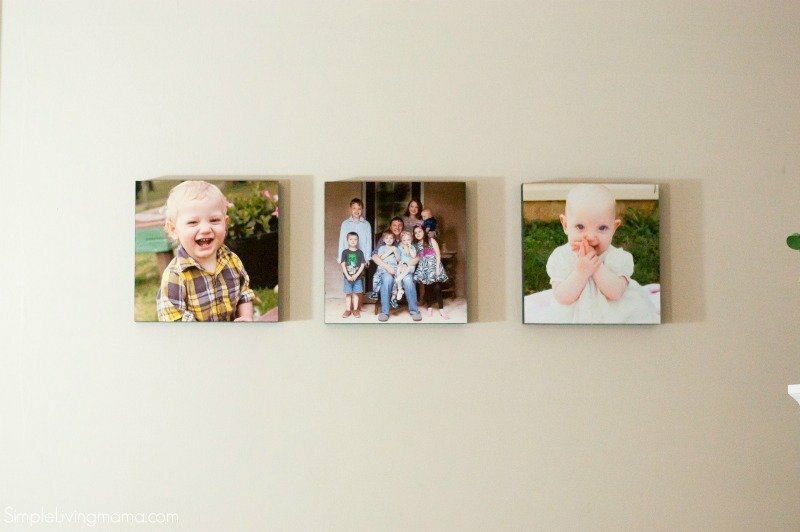 They are amazing, high quality pictures that easily stick on your wall and can be moved with no damage. I love them! 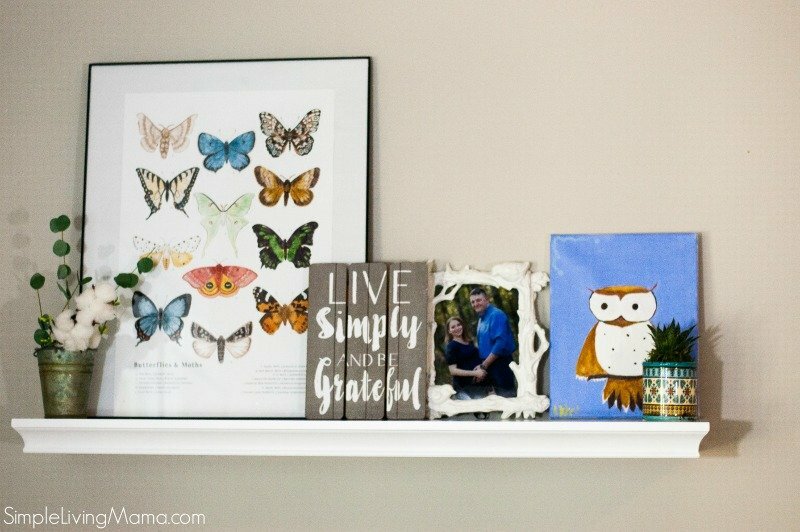 It’s a great way to save your summer memories that you snap on your phone and display them in your home! 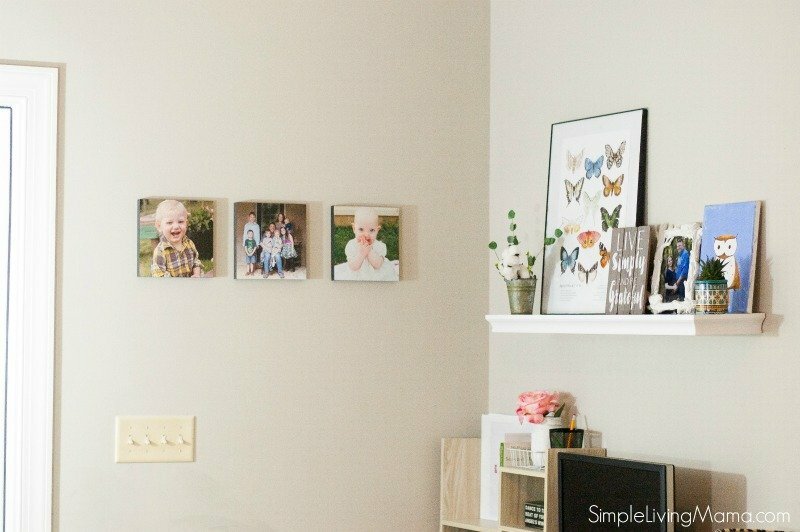 If you want to try StickUpPix for 20% off, use code SimpleLivingMama20%. Visit StickUpPix to order your pictures today. All you have to do is download the StickUpPix app and upload your photos! Easy and convenient! Another thing I decided to do for my desk was organize the top of it. 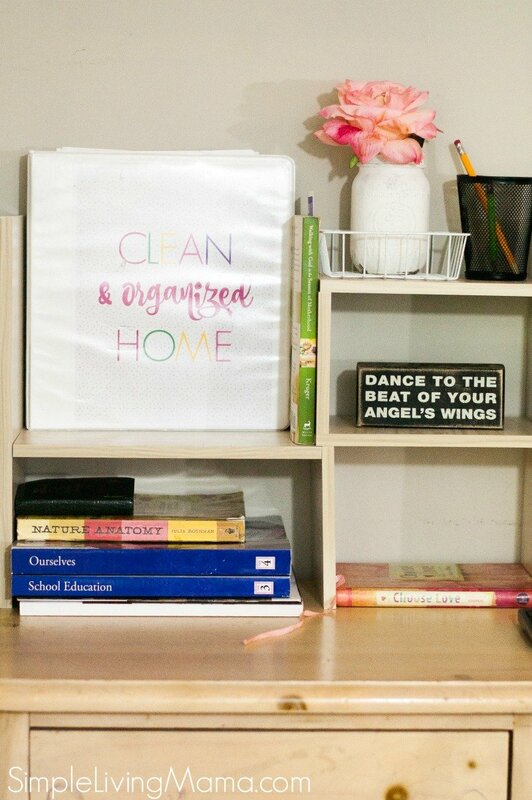 I purchased this desk organizer to have an area to store my Clean and Organized Home Binder, my devotional, my journal, a few of my Charlotte Mason volumes, and a sweet mason jar and flower! 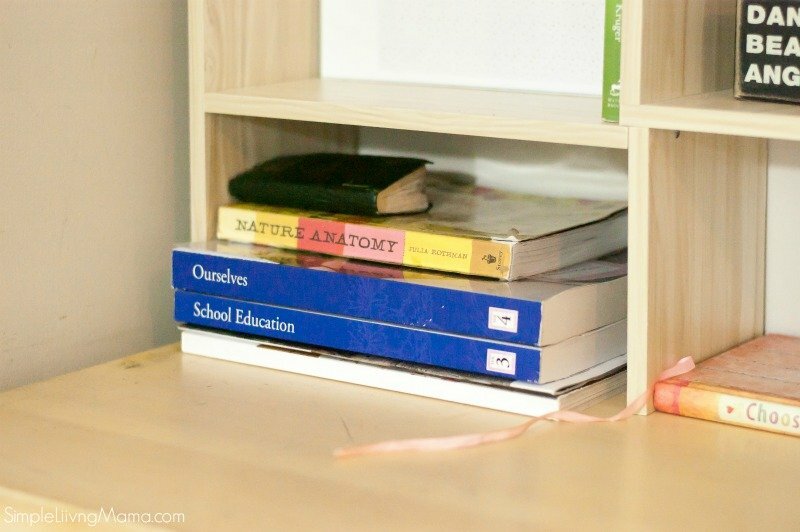 I also keep our Nature Anatomy book and a small Bible here. 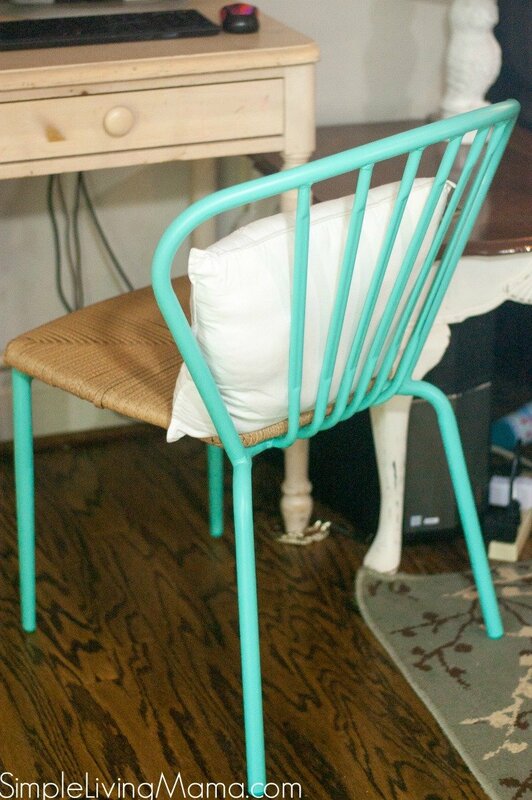 I found this adorable teal chair at Walmart. It’s actually an indoor/outdoor chair, but it fits this space perfectly.